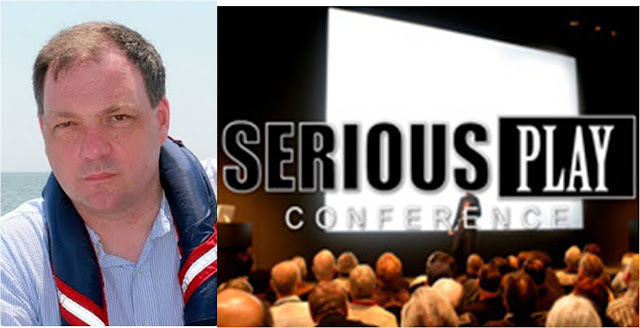 Clark Aldrich Designs has put together Serious Play, the upcoming conference on "Serious Games" that I believe the industry needs right now. It will be held in Redmond, Washington on August 23 to 25th and typically of Clark Aldrich’s approach it will focus on a pragmatic take with an eye towards the big picture. 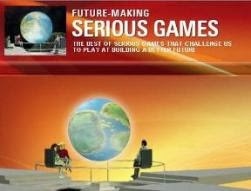 Future-Making Serious Games chatted with Clark Aldrich, one of the top Educational Serious Games designers in the world, in a recap of the genesis behind Serious Play conference and its development. FMSG: What was the genesis behind Serious Play? “All kinds of organizations, from corporate to military to academic, have realized Serious Games and educational simulations can be used to create educational content that is more effective and more engaging, and is even less expensive. “However, our leaders need pragmatic help. They need to know how to find the talent, the project management framework, the deliverables and the right approaches to ensure success. FMSG: Why are you calling the conference a “boot camp”? “All our sessions will be intense, specific and pragmatic. We are focused on building skills. “There will be "lab" sessions, for instance, where the people in the room will participate in games. That will make the conference fun, engaging and provide real examples of interactive learning. FMSG: How did you select your speakers? 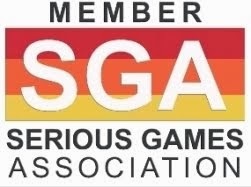 “We have drawn together an outstanding collection of expert Serious Game managers, developers and faculty. Serious Play will literally be a who's who of people who produce and deploy top tier Serious Games. FMSG: What will an attendee be able to take away? “Attendees will have the best of both worlds -- a diversity and depth of experience, organized by a common, detailed, pragmatic process. They will leave the event qualified to be successful. FMSG: Tell us about your award program? Serious Play has both an awards competition and a certification. “We are looking for the best of the best in Serious Games in each of the tracks. We will be crowning a few games or sims epitomizing the best possible learning objectives and program objectives. We know that winners here will influence a lot of future designs, so we are being very careful. So far, we have had a record number of submissions, so we are excited. FMSG: Who will be judging the competition?